Elusive Brand ambassadors are at the forefront of the testing and development of our products. Over the past 10 years the Elusive Brand has supported a number of up and coming athletes in the UK. Over the past 10 years Elusive has supported a number of up and coming athletes in the UK and they are at the forefront in the testing and development of our products. Sponsors: Elusive, Obsessive Disorder and Diplock Surfboards. Jordan's been surfing since the age of 9 and today still feel's the same as he did on day one.......like a grom. Even more so when it's 6ft and barrelling it's nuts off. "I love sucky barrelling waves and long mechanical pointbreaks as this encourages all types of manoeuvres." Born in North Devon only a few clicks from the beach. His dad was a surfing pioneer in the 70's so it just seemed right to follow what he loved to do.....Surf! "My sister and I pretty much grew up on the beach so it just seemed like the number one for me." When he turned 18 he began a lifeguarding career (which he still does today). This changed his perception and respect for the ocean even more, as it improves his all round fitness and knowledge of the local beaches. It was also around that time he began escaping the annual winter in search of tropical waves. The list of destinations is endless: Indonesia, Australia, Caribbean, Central America, Mexico, California and all over Europe. He recently became a very proud father, quoting "that's the greatest prize life has thrown at me." The stoke rolls on! Sponsors: Elusive, Matuse, SOVRN Republic, Surfdock, Diplock Surfboards. Eoin is East Coast of Ireland born and bred. Tá sé líofa sa Ghaeilge and enjoys country living at heart. He started surfing with his parents aged five and since then truly enjoys all watersports. When there are no waves, you’ll find him skating, mountain biking or heading for the snow in search of fun. He has fond memories of canoeing and swimming with orcas and dolphins from an early age and continues to explore all four corners of the globe. Currently based on the West Coast of Ireland he manages to combine business and pleasure with adventure media production, while always planning the next search and explore mission. He is a self-confessed perennial student of medicine, surgery, science and discovery and always great fun to have along on a trip. Eoin wishes to thank his family for everything! Buíochas le Dia. Sponsors - Elusive, Tiki, Black and White surfboards and Obsessive Disorder. Greg has been a competitive surfer for over 10 years on the local and national scene, picking up a host of trophies on the way. The lucky fella is fortunate to live right near the beach in North Devon, and manages to rack up a fair bit of water time around his work schedule. Greg surf's a range of boards, but his passion is with longboarding. An experienced traveller, he has surfed across the globe and has plans to tick a few more destinations off the bucket list in the next few years. Greg is a super friendly guy, who loves the outdoors. He's also very keen to keep fit by cycling and running, when the surf isn't on. Sponsors: Elusive, Circle One Surf Company, Mad Hatter Surf Shop. Scott’s quest to surf perfect waves has meant him spending quite a few years away from Jersey travelling, including many to the remote corners of the Mentawai’s, from overland trips before the days of land camps to crewing on basic boats exploring all the surrounding islands. He’s no stranger to roughing it and also spent months camping in and around the desert points of North West Oz. Despite the sleepy island vibe on Jersey, Scott has enjoyed a lot of competitive success both at home, in the UK and further afield. After wracking up 4th and 5th place finishes in the European Surfing Championships and becoming the first ever British Big Wave Open Champion, Scott went on a competitive mission winning a Channel Island Masters title and 3 back to back British Masters and Senior titles in 2013 and 2014. 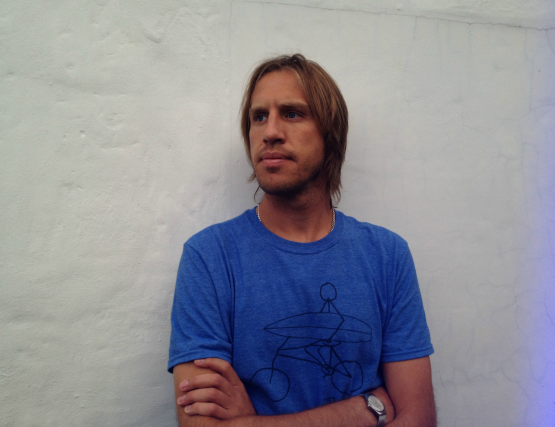 A surfer turned author, although still surfer through and through. 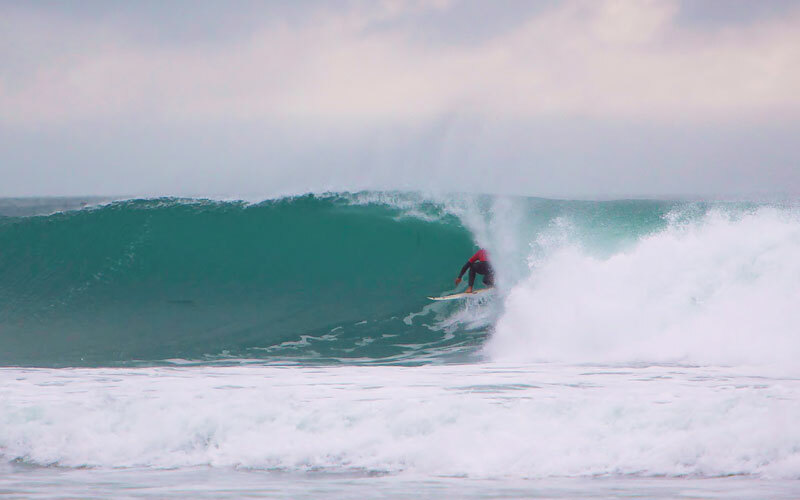 For the 2015 Welsh Seniors Champion, getting in the water is everything - whether home or abroad, light or dark (he also won the inaugural Esplanade Night Surf). After competing widely as a youngster (and usually losing), Tom was inspired by his passion for travel to write the iconic surf memoir Riding the Magic Carpet - a tale of worldwide trips culminating at South Africa's Jeffrey's Bay. While J-Bay is up there with the best waves Tom's ever ridden, he's a firm believer in the idea that the situation is as important as the waves, and cites some of his best ever sessions as taking place in a weird and wonderful range of places, from Taiwan to Trestles, low tide Snapper to low-tide Coney. One of the dangerous consequences of this lifestyle is an addiction to Indonesia, and in the last few years Tom has been visiting some of the archipelago's lesser known waves. 'Might not return one day,' he often warns us. Sponsors: Elusive, JP Surfboards, Xcel Wetsuits, Carve Eye Wear, Danielsurf, Select Security, Align Therapies. After reaching his goals last year of being crowned Welsh and British tour champion, Pat's aspirations for 2017 are success on the European Pro Junior circuit and British Pro Surf Tour. "I have a busy season planned in Europe and the U.K and I'm super proud to represent Wales and Elusive Clothing. The guys have supported since 2015 and I'm stoked to promote the brand in Wales and beyond." 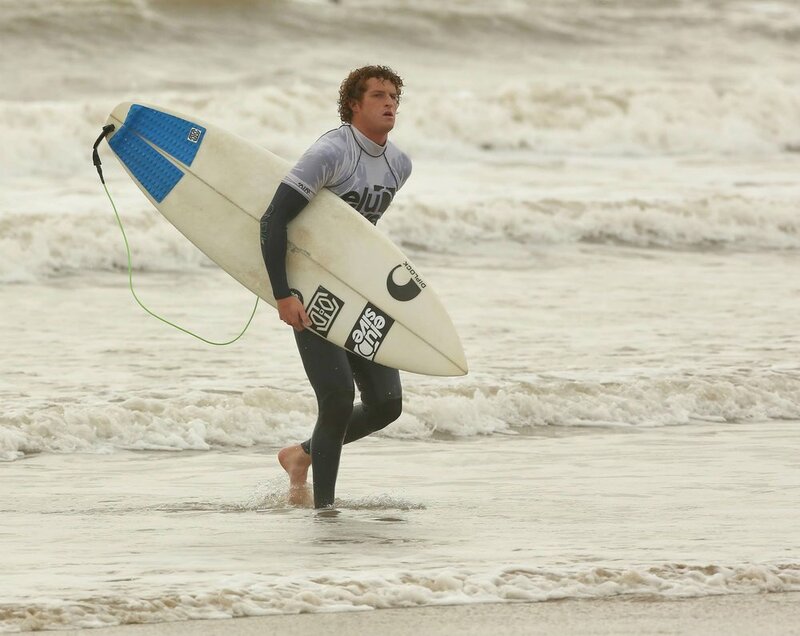 His love of surfing is only matched by a desire and determination to compete at the highest level. The commitment to compete and win is his motivation to get up in the morning and surf or hit the gym. His exposure to the highest level of surfing over the last 18 months has made him more determined than ever to achieve his goals. "I love the Elusive brand. It fits in with my life style, looks great and is amazing quality. It's awesome to be supported by a great Welsh clothing brand." Sponsors: Elusive, Carve Visionaries, Nuts Surfboards, Xcel Wetsuits. Charlie based on the Channel Island of Jersey funds his love of Winter surf travel by life guarding his beloved beaches during the Summer crowds. "I love competing and travelling the globe looking for the best waves and competition." He's been surfing since the tender age of 7 and hopes for that to continue for the rest of his life. "My favourite part of surfing is getting barrelled, it's a rare opportunity back home in Jersey so no matter where I am in the world I am always frothing over it." In search of that perfect barrel, Charlie kicked off 2017 on Hawaii's North Shore surfing solid winter swells in preparation for a packed year of competition. 2017 will be his first year on the WQS and has plans are for that to continue for the foreseeable future. Emily Born in Newport, South Wales started surfing at the age of 12 and hasn’t looked back. She’s currently living in Swansea and studying at Swansea Uni, which coincidently happens to be a stone’s throw from the beaches and reefs of the fabled Gower coastline. Em says “Family holidays were always spent at the beach and Dad used to push me into waves on my bodyboard when I was little, so it was just natural that I progressed into surfing”. The Six times Welsh Champion, has been competing since the age of 12 both nationally and internationally and been incredibly lucky to have been part of the Welsh team to compete at two European Juniors in Lacanau and Azores and Two Junior World Championships in Ecuador and California. 2017 sees her first appearance at the World Senior Games. A fully qualified lifeguard and ISA level 1 surf coach, her favourite wave ridden is Pitstops in the Mentawai Islands. Along with a surfing Em’s passions include skateboarding, swimming, hockey, and recently mountain biking. Emily is proud of her Welsh heritage and a fluent Welsh speaker, which is “why I am so excited to be supported by Welsh clothing brand Elusive”.